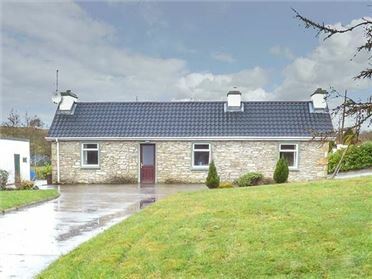 Curradoon House is a detached farmhouse that is tucked away down a quiet rural road near the village of Touraneena, near Dungarvan, in County Waterford and can sleep 10 people. There is a double bedroom, a ground floor double bedroom with an en-suite, a family room with a king-size double bed and a single bed, a family room with a double bed and a single bed, two ground floor shower rooms (one with seat and handle in shower), a shower room, a kitchen with dining area, a dining room, a sitting room with solid fuel stove and a sun room. Outside there is ample off road parking, a shed for bike storage, a lawned garden to the front and side and a patio with furniture. 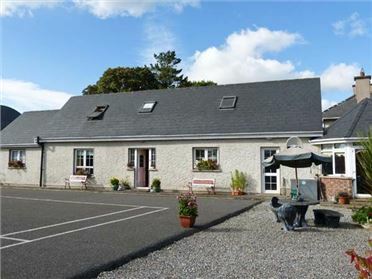 Curradoon House is a wonderful base for your Irish break. 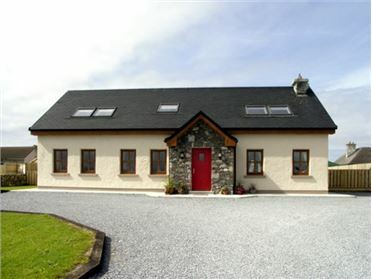 Four bedrooms: 1 x ground floor king-size double with en-suite shower, basin and WC, 1 x double, 2 x family room with 1 king-size double and 1 single. Shower room with shower, basin and WC. Two ground floor shower rooms with shower, basin and WC (one with seat and handle in shower). Kitchen with dining area (seats 4). Dining room (seats 8). Sitting room (seats 8) with solid fuel stove. Sun room (seats 4). Oil central heating with solid fuel stove. 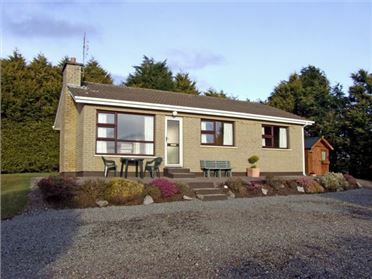 Electric oven and hob, microwave, fridge, washing machine, tumble dryer, dishwasher, TV with Saorview, DVD, WiFi, selection of books, games and DVDs. Fuel, power and starter packs for fire inc. in rent, Ã¢â€šÂ¬30 supplement charged Nov Ã¢€â€œ Mar inclusive, payable directly to the owner. Bed linen and towels inc. in rent. Travel cot and highchair. Ample off road parking. Shed for bike storage. Lawned garden to front and side. Patio with furniture and BBQ. One well-behaved dog welcome. Sorry, no smoking. Shop 5 miles, pub 1.3 miles. Note: The ground floor bedroom is accessed via the second sitting room. Note: This property is on a working livestock farm, children and dogs to be supervised.